I generally prefer to start with this question whenever I take up anything to write about. And why is that, you may ask. Well… I am a strong believer of the fact that everything in our life happens for a reason and based on the stereotype, we tend to overlook its core purpose during its occurrence. Let me try to explain myself further. Events keep occurring in our lives pretty much every day. Be it small, big, significant or not so significant. We have a response towards every event. Every occurrence brings out certain emotions from within us. Certain things like going for a movie with our friends and chilling out suddenly brings a wide smile on our face while on the other hand, losing our car keys makes us panic and gives us really negative vibes. But we focus more on those immediate emotions that come out as our natural reactions at that time. But is that the real reason why those things happen to us? No. I totally agree with this cliché “Experience is what you get when you don’t get what you want”. So, I believe that no matter what happens to us in life, be it good or bad, there is always something good in it. And that good thing is called EXPERIENCE. Hi. My name is Ayush Bansal. I live in Gurgaon, Haryana. A family of five. Mom, dad, two siblings and me. I would like to share a phase of my life with all the readers with the intent of being able to convey as much positivity as I can through my words. This starts back when I had just passed 12th standard. Just like the majority of mediocre science students, I was hoping to make it within the last cut off list of some decent engineering college. My dad used to run a departmental store back then which used to serve the family decent enough. When I say decent, I mean to an extent where we could unwaveringly yet modestly, call ourselves the middle class. We never had to think twice before spending on our needs, but we knew that expecting luxury would only lead to disappointment. Anyway, I was glad that I had got admission in Bhartiya Vidyapeeth Engg College, Pune. Now one fine day, I was generally talking to a customer at dad’s store and turned out that he was flying as a pilot with Spicejet. I was always very curious about the field of aviation but never found out much about it. So I kept asking him questions and he was sweet enough to entertain me on them. So, by the end of the conversation, I had a basic idea of what one needs to do to get into this career. So, in the night during dinner, I was generally talking to my dad and very casually I told him about this conversation I had. Trust me; I had no intention of seeking my dad’s opinion on it as I knew it was not something that lied within our affordability. So he was listening to me patiently and after I was done, he asked me how much one has to spend on the whole course. I told him casually its approx 20-25 lacs according to what he had told me. And there it was… a silence for a few seconds. Nobody said anything for a few seconds and my brother and dad were looking at each other. I was wondering what they were thinking as I had no clue they meant to consider it. After that brief pause, my dad says with a casual tone… “theek hai… kar le flying”. I could not believe what my ears had just heard. I was overjoyed and pleasantly surprised at my family’s support. Within a couple of days, I was on it. Quite quickly, I realized that I had a really good aptitude for flying as I was able to get a good grasp on aerodynamics without any guidance just using google. I often found myself really engrossed into studying materials related to aviation technologies. Things were going well and I started with the process. The first hurdle was a Class 2 medical test. For those who don’t know, it’s really easy to pass. Pretty much a cake walk for almost everyone… well… “Almost”. I had always been a fat kid in the school but I never really realized how fat I was till I found out I was turned down on the medical because my hemoglobin was low, BP slightly high, Blood cholesterol was high and last but not the least, I weighed 102kgs. I was disheartened. Felt like someone had dangled my favorite chocolate in front of me and took it back when I was about to grab it. But it was too late to back out. I had completely determined myself to do anything it takes to get there. I really wanted that “chocolate” bad. I spoke to the doctor and found out what I needed to do. She said that according to my height, in order for me to be able to even get within the maximum permissible range, I needed to shed at least 15kgs. I nodded. Anyway, the process had just begun. There was a long way to go and I was nowhere near tired. I used to keep going to the office of DGCA (Director General of Civil Aviation) every now and then to get more information about what I needed to do ahead and to make sure that I don’t take any wrong step or don’t skip anything important. 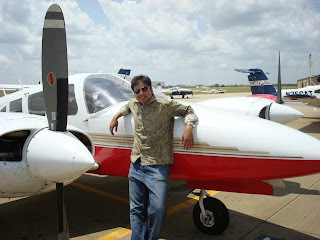 Now, I had to take Ground Classes in order to clear the exams that DGCA conducted to qualify you to become a pilot. I started with the classes and yet again I was really impressed with myself. A student who had been a mediocre 60 to 70 percent scorer all his life suddenly seemed to be one of the brightest in the class. The class was humongous with strength of more than 200 students. I made some friends quickly. It was a very different experience than regular school classes. The students were of all ages from 18 to 45 or even more. The trainer was a retired IAF Squadron Leader who was then flying for Air Deccan. He was an incredible teacher but extremely strict. He could yell and insult you in front of everyone to an extent that you could crack up and burst out in tears. All the students were treated similarly. Anyway, I would often find myself surrounded by several students who used to approach me to clarify their doubts after the class. I was getting all the attention I could have dreamt of and I was simply loving it. But again… that was my immediate feeling… I knew that there was a bigger picture. I had to continue the hard work. Generally, whenever students pass their high school and start looking for colleges related to their career, their families are always there to help them. Even my elder brother and my dad helped me till the time I was trying to get into engineering colleges, but now, I had to do everything on my own as nobody in my family background had ever been into aviation so they did not have any knowledge about it. But I had no complains. The fact that my father was willing to pay an amount that would ask him to pretty much squeeze out everything he could; was more than anything I could have asked for. After I finished my classes, I found out that I could not appear for the qualifying exams due to some changes in regulations made by DGCA. So, now was the turn for my big step. I had to go abroad for my flying training. I was an 18 year old guy from a simple family who had never stepped out of home to go out of the city alone. To go abroad alone was understandably more than an errand. I had been an average fat kid all my life who was suddenly injected with something like a “confidence serum”, but still I found myself not mature enough to make decisions like where to go for training, where to live, how to go about it, which airline to fly, how much would the living expenditure be, how to get the visa etc. I told my dad about it and he did everything he could to help me out. I also sought for help from Capt B P Singh, the guy who used to come down to my dad’s store. Finally, it was decided. I was going to the USA for my training. My dad took a loan which added to the pressure but he asked me not to worry and just go. Visa was done. 22nd March 2007. I had to leave tonight. Everything was packed. I had packed everything keeping the worst case scenario in mind. I normally preferred to travel light, but I didn’t want to risk anything. I was ready. There was an adrenaline rush down my spine. I was very excited, yet nervous like I had never been. I could feel my feet shaking. It was 7pm. I had to leave. I touched my mom’s feet and bid my sister good bye. My dad and brother were accompanying me to the airport. We reached. Bid good bye. Emotional outburst was a prick of a pin away. But we all held it in. I boarded the flight and took off. Due to technical errors there were delays which consequently lead to further delay as I missed the connecting flight. All in all, my journey that was supposed to be for 27 hours, turned out to be 56 hours. I had a lot of time on my hands. The nervousness was soon gone. I was sitting at the front seat towards the window. That is my favorite seat. I was looking outside through the window and trust you me, looking out through the school bus window or an airplane window can be the best philosophy class. I was in deep thoughts. I was feeling very good thinking about all that I had done to be where I was. It made me realize something. If you ever decide to take up something in life, you will find brick walls. Those brick walls are like hurdles in your way of the pursuit. The brick walls are there for a reason. They are not to keep us out; they are there to give us a chance to show how badly we want something. The brick walls are there to stop the people who don’t want it badly enough. If you want it bad enough, you will find a way around. Finally, I landed on the American soil. I got out of the airplane and it was an incredible feeling. I was extremely excited. It was quite evident as I had not slept for more than an hour during the whole flight and even now, I was fresh as a daisy. I contacted my school administrator and I felt really warm to know that she sounded really worried about me and said they had been trying to track me for several hours. I was picked up by the flying school van and taken to the apartments where most of the fellow students lived. I took an apartment on rent and as I had gone alone, I had no one to share the apartment with. Within a couple of days, I got familiar with the surroundings and the flight school and pretty much everything that I needed. Finally, after all the formalities, my flying training started. I discovered my problem of air sickness. I was not as pleased as I should have been after my first flight. My instructor was very supportive and said it was normal, but I was very wary of it. For the first few hours of my training, I use to get sick in a few minutes after takeoff. I even threw up once… hahaha… thank god they have sick bags in those things. Slowly, things got better and I started loving it. Now I enjoyed my flying training a lot and it was an amazing learning experience. I still remember the day I got my first solo. It was an emotional day. I still have the T shirt that I received from my flight school that day. All the students signed on it and wrote stuff on it congratulating me. Whenever I see that T shirt, I can’t describe how warm and nice I feel. I was fortunate enough to get the best of the instructors throughout my training. Me and my friends used to plan cross country flights and used to fly for hours during the night time. Sometimes, we even used to take off in a few different planes and the fleet used to the same destination. We’d chat on the common frequency and have a great time. We would park our planes at our destination airport and borrow a car from the FBO’s and visit nice places nearby or go to some nice restaurant for dinner. We’d swap our flight partners on the way back. We not just accompanied each other during fun times, we also very sincerely helped each other whenever it was needed, be it in studies, or even otherwise. Nevertheless, one after the other, I kept stepping on new milestones as I proceeded with my training. A lot of times when I flew solo, I remember looking down and thanking my parents. I knew that there are a lot of people who wish to just sit in an airplane once just as a passenger. And I was flying that thing. 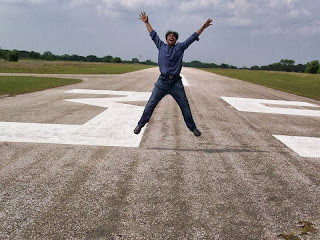 Finally, I cleared all my test flights with flying colors and my training was finished. These 13 months had been the steepest learning curve of my life. The experience I gained was incredible. I was a different person now. More matured, more experienced. I was gradually stepping into the shoes of a man from being a boy. But I knew that it doesn’t finish here either. Even after over four years, I still go through my pictures and videos from my training time and it gives me the same pleasant nostalgia every time I go through them. That was a time that can never be forgotten. It was like a perfect mixture of independence and responsibility thrown at you in disguise. Cooking for ourselves, doing our own laundry, getting up on time without mom screaming into our ears, flying, visiting different places, hanging out with friends, feeling home sick, going to clubs, studying on the night before the test, cleaning our own apartment without being asked for it time and again, going to six flags, planning cross countries…… It all feels so fresh like it just happened yesterday. When I finished my training, my flight school was going through a crisis for instructors. They desperately needed flight instructors as their shortage was delaying several students’ training and they were going into a loss. So, after I cleared my commercial pilot test flight, the school’s owner approached me and offered me to undergo further training and join them as a flight instructor. He sounded quite keen on it. He even offered me to pay the fees for further training out of the salary that would receive after I started flying with them as an instructor. More than I was tempted, I was flattered. I very politely told him that it’s a tempting offer but I couldn’t give him an answer right there. I told him I needed to think about a couple of things before I could make up my mind. The situation was quite unconvincing and stressful. As I have mentioned earlier that the training had already taken a lot longer to finish than it was supposed to, it had made most of us; me included, restless. We knew that with every day passing by, the no. of candidates for a pilot’s post in airlines in India was increasing, which meant more competition, which meant lesser chances of being able to fetch a job. At the same time, a flight instructor’s job; would have definitely given me an exposure and good experience; which would put me in a better situation to get an airline job when I came back to India. But again, the salary would be way lesser than an airline job. I was in a dilemma. The only person I could look up to at that time was my father. I called him up and told him about the situation and discussed everything in detail. He gave me an invaluable suggestion. He said something that he had always taught me since my childhood. When there is a problem, we tend to think about it so much that we forget about the broader prospect. He always said “If you are reading a book from too far, the text looks blurred. As you come closer, it becomes clearer and readable till a point where everything looks crystal clear and perfectly readable. But if we focus on one word too much and keep going closer to the book beyond that point, it will tend to get blurred again”. Same goes for problems in life. If there is a problem, we should stop thinking about it too much otherwise we would miss out on the bigger picture and the whole purpose will fail. Once we know about the problem, it’s better to take a step back and focus on the whole scenario and find a solution for it. And that’s what I did. By the way, there is a practice that I always follow. When I want to convince someone about something that I strongly believe in, I would normally say that “my father always used to say this”, even if he didn’t. This makes the whole idea more acceptable for the listener considering the fact that it’s always easier to accept something that someone more experienced than us says. So anyway, I thought to myself that to continue staying there after the training was never a part of the plan and if I do so, it would be a decision made in haste. I had made up my mind. I went to school the next day and apologized to the school’s owner for not being able to accept the offer. So finally, my tickets were booked and I was all set to leave. 22nd April 2008. My bags were packed, documents were ready, and the passport was kept handy. I met everyone in the school before I left. Got a picture clicked with all my friends and the faculty. Though I didn’t mention about my roommates before, but that is only because I could write so much about them that I would divert from the subject. They were the best friends one could ask for. I would still like to write their names just because I know when they read this and don’t find their names in it, I’d get into trouble… hahaha… Shobhit, Niranjan and Achin. None of us knew each other before we met in the U.S., but we clicked amazingly and to have such buddies, made the whole journey a lot easier. So finally my roommates dropped me to the airport and we bid goodbyes. It was again an emotional moment for me as I was just a few hours away from being able to see my family after so long. The flight took off and with no delays, landed at New Delhi International Airport. As I got out of the airport, I saw my brother and a friend standing there. I was inexplicably happy. I hugged them and left for home. I had landed at 1am and my brother had not told my dad that I was coming as he wanted to surprise him. My mom was out of town. When we reached home, I was delighted beyond words. I walked slowly into my dad’s room. He was fast asleep. My brother woke him up and he saw me standing right there. There are hardly a couple of times I could remember seeing my dad being so happy. He hugged me and after the surprise had settled in, we started talking about my experience in the US. We talked the whole night and finally slept in the morning. My dad had got the whole house renovated and got interiors done and never told me about it as he wanted to surprise me too. After a couple of days, my mom and younger sister came back home and I met them and again there were hours and hours of interaction. All in all, it was all great. Now, I knew what I had to do. I took ground classes again from the same trainer and gave my CPL written exams. I passed them in the first attempt with flying colors. 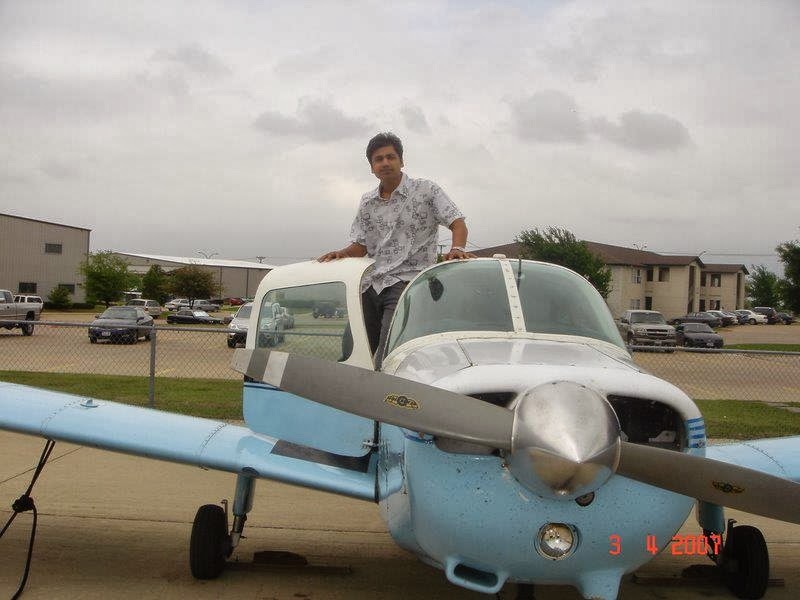 After my results, I submitted my conversion documents with the DGCA and after a lot of run around that I was given, I finally had my Indian Commercial Pilot’s License. It felt great to know that yet another brick wall had to give up in my course of passion. Now I had everything I needed to apply for a job for airlines in India. I submitted my resume everywhere. By the time all this was done, it had already been 6 months since I returned to India. The so much talked about “global recession” that had started by the beginning of that year was at its warm up now. Day in and day out we kept hearing about companies cutting cost by letting go of their employees. Being directly related to fuel, aviation was one of the worst hit industries. The headlines claiming “pilots needed” or “crisis for pilots” were long gone. It had become a thing of the past. Forget about getting fresh employment, job retention started to look like an issue. Crew members were getting sacked left, right and center. I was worried. But at the same time, I knew that giving up was simply not an option. I kept trying here and there. Applied for all the airlines, chartered companies and every place I knew of but had to bite dust everywhere. A couple of times, I even cleared written exam for a few companies but was turned down at the interview. I was feeling very ordinary, very discouraged. Every now and then, hearing news about how bribes are being accepted to offer jobs in airlines disgusted me further. I was extremely angry and dissuaded by such activities and malpractices going on but there was not much that could be done. My father could not afford to pay another 20 lacs just to fetch me a job, and even if he could, it would have been atrocious to get involved in such activities. My upbringing and ethics kept me away from such things. Finally, after numerous attempts and equal number of failures, I thought it doesn’t make sense to do nothing in the meanwhile. While I continued to look for opportunities, I started giving ground classes to aspiring pilots. That too, did not fetch great results. Eventually, I did something that my parents never expected me to do and they were not very happy about it either. I joined a BPO. My parents thought after getting a CPL, it was lowly of me to be working in a call center. While I think there is nothing inferior or wrong about working in a BPO, but I very well agreed with the fact that what I was doing was not gainful employment. It wasn’t going to serve me at all in my career. But my perspective was that it’s better than sitting home doing nothing as it was only culturing the mould of frustration that inhabited inside me. To this point, it had never struck me that this phase could last very long… a lot longer than I thought. I thought it’s just a matter of couple of months before I get my big break and everything will fall in place on its own. Before I knew, I had already spent 2 and a half precious years of my life doing a job that was going to get me nowhere and neither did it pay very well. I had had enough. I sat with my father and discussed everything in details with him. He had been a businessman all his life, mostly of which, was running rice industries. I had seen him doing business since I was a kid. I asked him if he thought that starting a new business is something we could succeed in. He was interested but we didn’t know what business to do. Ideas came and got eliminated due to one reason or the other…. (mostly finances). Eventually, after a lot of research on investment, returns, demand, competition, we decided to set up an industry for Polymer Fabrics. We bought a piece of land in Bhiwadi, Rajasthan. My life started taking a steep turn. I have to admit, since I had become so used to getting declined, in my heart of hearts, I never believed that we could actually succeed in this. But as we started doing more and more research on it, and as we kept getting a step closer at it every day, my interest started growing exponentially. At this point, I told myself that to keep thinking about all the failures I had seen so far would not be fruitful, and that I had to forget about everything and focus all my energy into this project. As we proceeded with the project, I realized that no matter which field you go to, or which place you visit, or which new activity you take up, you ALWAYS learn something from it. Setting up this project gave me so much of knowledge that it would be silly to try explaining it. My technical grounds became very well polished. With all the construction and civil work, I learnt about structures, and during purchasing the machinery and everything else, I learnt how to deal with people. I realized what a blessing it is to have an opportunity to learn things from your father and benefit from his experience. After months and months of rigorous schedule and hard work, the factory was established. On 27th of February, 2013, we launched “Perfect Polymer Industries” in the market. I was new at this. Inexperienced, had never dealt with employees as a boss. Suddenly, taking control and leading a team of over 40 employees was very difficult. I found myself looking up to my dad again for some more guidance. He helped me a lot. I started gaining more and more confidence every day. I learnt a lot of people management skills from him. I learnt how to do accounts; which was very new to me. It was something I had never paid attention to before. Anyway, slowly, the wheel started turning and the factory seemed to be doing fair after it got into full scale production. Slowly and steadily, everything has started to fall in place and we are on our way to getting stream lined. I really love my work. My schedule is extremely hectic. There is not a single moment in the day when I can think if I have anything else to do. There is always some work that needs to be done. I am loving it. Irrespective of how much time I have devoted and how much of hard work I have put into this, and despite of the fact that I actually really love what I m doing, I still want to get back behind the yoke and soar to the skies. My professional passion still lies in flying. So what’s the point of all this, you may ask. My point of sharing this small piece of my life with you all is not to show you how successful I am or how you can become successful. I am nowhere near being experienced enough to enlighten anyone’s path of life. As a matter of fact, one would probably think this guy just can’t stick to one line of work. The purpose behind this piece is simple. It is to help you understand that no matter which field you are in, no matter what you do ultimately in your life, SINCERETY, HARD WORK AND HUNGER FOR KNOWLEDGE are must. Call it a coincidence, but even in the dictionary, the word “Struggle” comes before “Success”. You may find a lot of people who get success without much of hard work, but trust me, there is a lot more to them than you know. Don’t waste your time waiting for success to come to you. If you haven’t worked hard, you may pretend that the whole universe is conspiring against you, but deep down within yourself, you know that you haven’t justified yourself for success to come to you. Trust me when I say this, and I m sorry to break it to you so bluntly, but the elevator to success is always out of order. You have to take the stairs. It is human nature to give up easily; for the simple reason that it is “EASY”. We always want to do easy things. We love convenient alternatives. We love short cuts. When we want to succeed in something, we try. We try once, twice, and if it still doesn’t work, we accept it as fate or try to crib about it to make ourselves feel better. What we always forget is that “Change is the only constant”. The next time you feel down and low and you come across that familiar situation “Why me?”, think of when was the last time you changed something about yourself or the way you work for things to get better for you. And be honest to yourself. Don’t expect success to come overnight to you. Its good if you’re working hard, but don’t be impulsive. Continuous hard work builds stamina. Stamina gives you patience. Success will come when you stop chasing it.